A bread crumb trail towards the three Rs: reading, writing & really trying to learn new stuff. Primarily made up of (A) book reviews and (B) magazine article links & summaries. 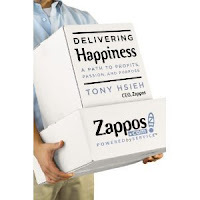 Recently finished reading "Delivering Happiness" from Zappos CEO Tony Hsieh. Good book... I wouldn't call it great, but definitely good and features insight into Zappos and the building of a company. I first heard about the book from this extremely interesting Inc. Magazine piece from Hsieh titled "Why I Sold Zappos" (which I wrote about here). Regardless of whether or not someone reads the book, I recommend the Inc. story. Just an excellent tale of running a company in a desired way... and having to reconcile that with the interests of outside investors (which in this case were Venture Capital, but could also be shareholders of a public corporation). From both the Inc. story and book, I've got quite a bit of respect for Hsieh and his approach... with additional credit going to the rest of the leadership at Zappos. Hsieh was an extremely smart kid, and also one who had an interest at a young age in running businesses. His intelligence helped him get into Harvard and from there land a programming job at Oracle. After quickly becoming bored with corporate life, Hsieh quit to embark on running his own show. What started out as a web design business turned into the banner ad company LinkExchange. Several months into the venture, Hsieh turned down half a million dollars for the company and then a few years later sold to Microsoft for $32M. Rather than remaining at Microsoft for a year to collect an $8M retention bonus, Hsieh realized he wasn't doing what he wanted and left the company. He started an investment fund and early on put money into an online shoe website. Before long, the fledgling company reached a point of either failing or needing more investment. Hsieh then put in personal money and got actively involved in helping run things. It was certainly a struggle at times, but the company carried through. If the first part of the book is the background of the author and what led to Zappos reaching it's current point, the second part is about many of the core beliefs that Hsieh and the other managements have made a part of Zappos. The evangelizing of Zappos was a bit much for my taste, but I can't take great exception with it... Hsieh believes in what he created at Zappos and wanted to write about that in this book. The decision was made to have Zappos be about the best customer service... as well as best workplace culture. I've written about these dual topics before and they're definitely easier said well than done well, but Hsieh seems to have genuinely built a company that tries hard to nail both goals. This has been done through things such as a learning library of books that employees could borrow and more importantly, a general transparency within the company culture. Biggest manifestation of this openness is The Culture Book which is an actual unedited hardcover book with employees saying what the culture means to them. I love this idea of an actual book with unedited content and this idea of transparency makes me think beyond just companies and to how the same openness can lead to effective writing (as I made note of in this review of "The Tender Bar" by J.R. Moehringer). Back to Zappos... from reading the book (and particularly the Inc. Magazine piece), I think they probably made the best move possible with the Amazon deal, but suspect they would have preferred to continue on their own... which couldn't be done with Venture Capital investment looking to cash out and move on (an idea I wrote about in the same blog post in which I linked to the Inc. piece). All in all, a good book about a guy that's built a solid company in what appears to be the best way he possibly could. Finished reading "Sh*t My Dad Says" by Justin Halpern... funny book and totally worth the three or so hours it took to make it cover to cover. 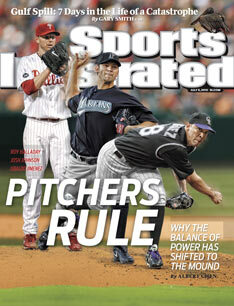 Yep... it's a fast read. The book is a combination of author relationship to his father memoir and quotes from the aforementioned Dad. Gruff, to the point, profane, lovable and loving... all of these qualities come across in Halpern's quoting of and writing about his father. While one could debate whether the language used around his kids growing up should have been cleaner, he still comes across very favorably. This Time Magazine piece gives some background on how the whole thing came out of a Twitter account created by Halpern and me thinks the best way to sum up the book is to say it's short, funny and good. If the quotes from the book website strike someone as amusing, they'll I'm sure enjoy reading the whole thing. Sometimes reading great writing can be an odd thing for me... both inspiring and frustrating. The inspiring part comes from thinking I could maybe write just as well and the frustrating part comes from thinking maybe I can't. There's a duality in there which makes me think of other dualities like Jacques Derrida's "difference vs differance" (which I mention in this post on the words and their import) or the Bryce Courtenay quote (apparently borrowed from elsewhere) "together since the world began, the madman and the lover" from his book "Tandia" (which I reference in this post dealing with South Africa). But, enough digression into dualities. What this post is about is about is great writing... specifically in the form of J.R. Moehringer's memoir "The Tender Bar." Moehringer is the co-author of Andre Agassi's brilliant memoir "Open"... which I reviewed here. I wasn't really aware of Agassi's collaborator other than that he didn't want his name on the cover so as to not distract from Agassi. 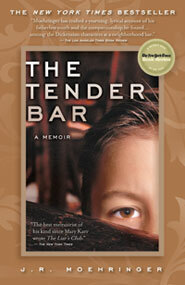 Really glad I did hear of "The Tender Bar", though, as it's good for the same reason that I enjoyed "Open" so much. The big similarity between the two memoirs is their honesty... each memoir lays the subject bare on the table for readers to examine and (to borrow a phrase) sift through the entrails of their lives and take as a reader what they will. The Agassi book is more widely read with he being a famous athlete, but Moehringer's personal memoir is even more interesting to me in that it traces the events of his life that helped lead up to being a writer. Specifically, it's about growing up with a single mother and male role models who haunt the Manhasset, Long Island bar Dickens (which later became Publicans and eventually Edison's and is referenced in the book title). - Entertainment via a well told yarn about how other people live. Moehringer's time growing up didn't seem to reach the dysfunction in that of Augusten Burroughs youth, but I will say that his story was similar in that he grew up in a completely different time, place and atmosphere than I know... which is me thinks a good thing for a reader. - The idea of life events, people and their ability to impact... but, how that impact is not preordained. It would be easy to read this book and conclude that Moehringer was destined to be a writer due to his introduction to literature at a young age, mentorship from zealot-like bookstore workers and time spent at a bar where people cared about great writing. Heck, keep in mind the place started out called Dickens. - Great stuff about writing... as well as the process around it. There's frequent references to great works of literature such as "The Great Gatsby" (which was set by Fitzgerald in the Moehringer's hometown of Manhasset), "Great Expectations" by Dickens and "Finnegan's Wake" from Joyce. Beyond this, there's some really profound statements made by Moehringer that bear noting here. - Description of his various father figures and finding that the way to get close was through "words being their password." - Quote from the author after reverentially describing the people at Dickens... "these exaggerations weren't false, they were what I believed." - Story told Moehringer by a Priest... "Do you know why God invented writers? Because he loves a good story. And He doesn't give a damn about words. Words are the curtain we've hung between Him and our true selves. Try not to think about words. Don't strain for the perfect sentence. There's no such thing. Writing is guesswork. Every sentence is an educated guess, the reader's as much as yours. Think about that the next time you cur a piece of paper into your typewriter." - Perhaps due to this "Divine lesson", there's mention from Moehringer fairly late in the book of how began to write well when he didn't focus on producing great prose, but rather simply getting words out on a page. - How good writing is above all, truthful writing. This is I suppose mandatory for memoir writing (well, perhaps not for all), but me thinks it can be extrapolated as a statement about all good writing. Whether it's as interesting (to many) as the story of a tennis champion (Agassi), a writer who spent a lot of time at a bar (Moehringer) or a guy trying to build a career (me), there's a lot to be said for open and honest writing. - A desire to read more from and about Moehringer. Mention is made in the epilogue of how September 11 brought him back to Manhasset and then Moehringer writing a story for the LA Times about his cousin Tim who died in the Towers. Also referenced is another piece for the Times about Manhasset itself and the impact of Sept 11 on the town. Additionally, there's bibliography links on Moehringer's Wikipedia page and the book website can be found here. Some interesting stuff from the July 26 issue of Time Magazine. In the last page essay, Nancy Gibbs wrote "Judge a Presidency By Its Crises Avoided" about... well, about that. I have my definite opinion on the current vs last President, but with that being said, it's still an interesting take from Gibbs on an incredibly difficult job. Basic idea put forth by her is that you've got at any given point, a fallible human making decisions around actions that can change the course of people's lives, deaths and history. Also from this issue was "The Customer-Service Express Lane" about the success people have had taking complaints to Twitter... and getting pretty immediate corporate action taken on their complaint. After hearing great pomp and circumstance about the movie Inception, I saw it today and found it to be fascinating, maybe great, maybe not great... but certainly fascinating on multiple levels. Different vantage points that could be used to consider the movie begin with (a) director of the film (b) what he tried to do (c) how how well he did that and finally (d) what the response has been. I don't typically post on movies... with this being only the third after one on The Curious Case of Benjamin Button and then a post on Avatar. 1. Curious Case of Benjamin Button by David Fincher - prior work including: Zodiac, Fight Club and Seven. 2. Avatar by James Cameron - who previously did Titanic... which a few people might have heard of. Also, Avatar had the distinction of bringing in an entirely new wave of technology. When I say these, I mean actual 3D, not the upconverted 3D that multiple movies since Avatar have been released in. 3. Inception by Christopher Nolan - previously did: Batman Begins, The Dark Knight, Insomnia, The Prestige and Memento. Pretty heady stuff and these three guys along with M Night Shyamalan (yes, I am one of the people who liked Lady in the Water) are the directors whose new films I'm going to consider seeing based on filmmaker reputation alone. 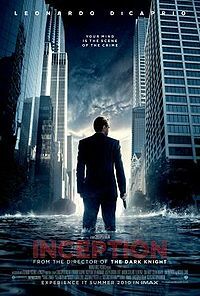 If nothing else, Inception deserves huge credit for it's attempt. The movie is a visual tour de force ($160M can buy a lot of special effects), but where it differs from most other films is in it's layers of complexity. Stealing of dreams, dreams within dreams, 3rd level dreams within 1st and 2nd levels... lots and lots going on and me thinks Nolan as the Writer/Director should be commended for creating something truly original... especially in this era of the sequel as blockbuster movie. I found the action sequences (of which there were many) to be really solid and story arc of Leonardo DiCaprio's Dom Cobb character to be intriguing, but the aforementioned complexity made it harder for me to appreciate both the action and story. Just a lot of energy spent as the viewer trying to both figure out and validate that I knew what was going on. Additionally, I found myself wanting more back story about the dream infiltration concept in Inception... where it came from and why Ellen Page as a character introduced to it wasn't a bit more shocked by the idea. Was this a world where people knew all about the idea? If so, either I missed or mention could have been made of that. I hadn't heard about this prior to seeing the film, but there's been pretty interesting critical discussion of how good... or not good it was. The long and short of it is some (seems to be many) critics really liked it and gave it huge credit for ambitious movie making and trying to accomplish something different. As the counterpoint to this, there's also been critics who thought it too muddled and perhaps overreached in it's attempt. Course, then the original positive camp critics criticized the negative camp critics... and on they go. Interesting stuff that's written about in the NPR piece "'Inception,' Art, Edelstein, And The Impossibility Of Accounting For Taste." Perhaps the best way to go at this is for someone to say the movie tries something different and if it sounds of interest, to see that and then form an opinion... or simply see if you're entertained. Better this than to get worked up over whether someone else is of your same mind on the matter. As Roger Ebert noted on his twitter page "Announcement: It is OKAY to dislike Inception"... which was in fact given four stars in Ebert's Chicago Sun-Time movie review. Some interesting topics covered and excellent writing from the latest issue of Esquire Magazine. The piece that stood out to me the most was "How to Raise Men" by A.J. Jacobs. He's a frequent contributor to Esquire and while I've enjoyed some of his writing, some I haven't cared for as much (such as his book "The Know it All" about reading the encyclopedia). However, this story about some specific values in relation to his young boys (a 6 and twin 3 year-olds) is really solid. While it's true that it strikes a cord as a result of my having two boys, the writing from Jacobs is entertaining and poignant at the same time (always a good combo). Some of the values he discusses are tribalism (in relation to cheering for a given team), brotherhood (just what you'd think) and delusional optimism (that all kids seem to have more of than adults). What really hit me, though, were the vignettes about two nightly rituals Jacobs has with his boys (probably more the oldest at this point)... (1) saying what you're thankful for and (2) talking about what you did right and wrong during the day gone by. 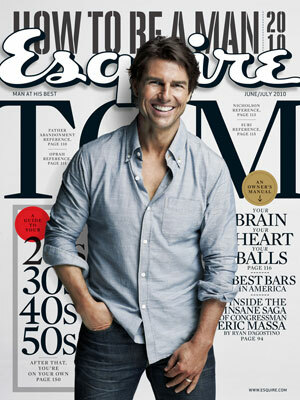 From writer Cal Fussman was the cover story, "Tom Cruise: The Fixer". While I can understand why Cruise has developed a reputation as a bit of a wacko (see: his postpartum depression jag about vitamins and exercise), this piece provides a different view. Beyond portraying Cruise as a normal(ish) guy, it attributes to him a pretty profound view of work and getting good at things. The basic concept is when you try to do something you haven't done, you first keep your mouth shut and listen and then you put in the work to figure it out. Boil that all down and... you put in the work. Maybe Cruise is simply repeating a basic concept, but I respect him putting credit for his success there. Also, financial writer Ken Kurson provided his one page essay "Why Saving Money Won't Save You". In it he covers two things that struck me. The first was the idea of income and expenses... and how income is something you often get by doing what you'd rather not do, that being work. If you like the work, that's great... but, if you don't always, you can still do it as a means to an end. The second thing from Kurson that I really liked was mention of his financial guy turned doctor turned inventor (of the Zigo bike) friend. Thing to note here from Kurson was how the friend created the bike (and company to sell it, I imagine) in "his spare time." Finally, this issue had something interesting from Jon Favreau in his "What I've Learned" piece. The quote was "I had a writing teacher who said, 'if you want to learn to write a screenplay, read "The African Queen" twice'."